The struggle to find a home: Getting serious about Canberra’s rising rent prices. Its early February and the annual scramble for rental properties in Canberra is in full swing. Moving to a new city is exciting but often stressful. Those of us who are passionate about this city would hope that the welcome to Canberra for our new residents is positive as they move here because of new opportunities like starting university, securing a position in a Government graduate program, or starting a new job. However, for many people, it is a rude shock to discover just how competitive the Canberra’s rental market is. 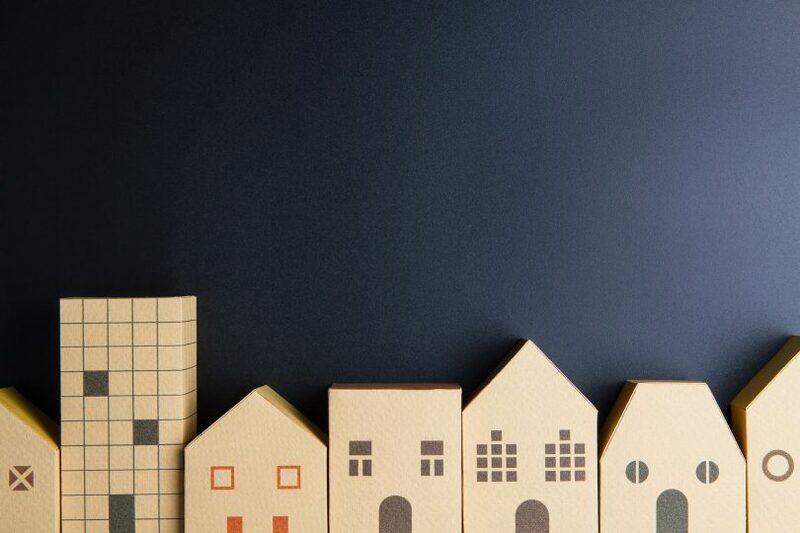 Media is reporting that this year the race to find a home means that hundreds of people are turning up to inspect a property, many are forced into competitive bidding for rents, and properties are snapped up as soon as they hit the market. This reality means that some, particularly students and others who are at the lower end of the market, face the real prospect of not being able to find a home in their new city. While this annual influx has been occurring for years, the increasing migration to Canberra combined with significant increases in rents appears to be creating even more pressure than usual. It’s a perplexing state of affairs given we continue to hear of the pending oversupply in Canberra’s rental market, particularly in apartments. Conventional wisdom around demand and supply would suggest that this would result in a decrease in rents but in-fact, the opposite is occurring, with Canberra’s rents now the second highest in the country, only behind Sydney, and rents for houses the third highest in the Canberra. Canberra residents often boast about how liveable our city is. Who amongst us hasn’t quietly shaken our heads at the predicament that our Sydney cousins face with housing costs that seem unfathomable? It seems however that we are now facing real challenges both in relation to costs and availability of properties. It is clear that the current situation means that people are currently facing the prospect of either entering into rental agreements with rents that will put them into housing stress, or are facing homelessness. There is no easy fix to this issue but it is time to start thinking creatively about ways we might be able to start to address this issue. Clearly, the strategy of just building new properties isn’t the whole answer and has seemed to do nothing in relation to promoting affordability or even meeting the demand that seems to be there. There are some innovative actions taking place, and there are projects slated to be part of the Government’s Housing Innovation Fund that was released last year which might start to make a difference. These include ideas such as programs to enable people to offer rental properties at below-market rent and matching people with spare rooms with people who need a home. However, in light of the problem we are facing, the $1million allocated might need to be significantly increased. We need to get serious about our housing affordability problem – particularly our lack of affordable rental properties in this town. If we can get this right, everyone will win. Individuals and families will be able to find homes that suit their needs and budget, there will be less pressure across the housing market and we should see us starting to address our homelessness problem as fewer people are forced into housing stress. Have you had trouble finding a rental property when moving to Canberra? What are your ideas about how we can get more affordable rental properties in the ACT? Share them with us in the comments section below. Rebecca Vassarotti is a board member of Community Housing Canberra, an affordable housing company. She is also an active member of the ACT Greens. It seems to be a paradox. Articles like this talk of not enough rental properties, yet there is no doubt that Canberra also has an oversupply of housing. And on top of this, there are plans for massive new developments. I feel this “rental crisis” is miseducation to encourage investors to buy up useless property. get rid of regressive property tax for a start - it directly increases rents or less reformist, provide socialised housing! This is a worry Kelly. Years ago we had hostels in Canberra, but they are gone now. If we still had them it would take some of the pressure off the rental market, as they would at least be a place to live for those without children. Although, I have vague memory there were some families living at Hotel Acton; indicating there must have been some family accommodation. In those days the lawns of Hotel Acton ran down to the lake, so lots of room for children to run around. When supply outstrips demand, prices will drop. Look at Brisbane's rental market. I’ll be honest – as someone who had no problem getting a place during the migration period six years ago, the skyrocketing rents and stagnating wages have left me looking to move interstate. I’m in the same place as I was when I moved in and I’m now paying $100 week more than I was six years ago – the percentage of my salary covering my rent has gone up from 25% to 31% in that time. My industry is classed as “essential”, yet without decent wages growth or a slowdown of rental prices, it’s harder to survive in the nation’s capital than ever. I see a lot of families turn up to rental inspections-that are usually really small town houses crammed up next to more town houses. I assume its because its what's in their price range? Because then Ive also attended 4/5 bedroom house inspections were the group is considerably smaller. I think many families cant afford the houses they need to rent, and making more townhouses is not going to fix it!